Marijuana is getting stronger. It has become increasingly popular since open drug use crashed through cultural and moral barriers in the 1960s. Now the youths of the ’60s are parents, grandparents, voters and politicians. Today, youths and even adults say that marijuana is basically harmless—if not glamorous, like it is portrayed in entertainment—or even medically beneficial. Attitudes have become so relaxed that Americans in two states actually voted in November to legalize marijuana for recreational use. We are watching marijuana change from a counterculture banned substance into a mainstream recreational aid. But the debate is far from over. What are the facts about cannabis? The real extent of marijuana use is unknown, but it is chronic and widespread. Ninety-five million Americans have experimented with this drug at least once. In 2002, three out of four illicit drug users admitted they had used marijuana in the 30 days prior. In 2007, a survey found that 14.4 million Americans had smoked marijuana in the previous 30 days. Between the ’60s and 2000, the average age of marijuana users dropped from 19 to just over 17. Under-18 marijuana initiates now make up 67 percent. Why is marijuana so popular? One student used this frank reasoning: “We do it because it’s there, because we like it, and because it is one way to tell the grown-up world to go to h—-.” Youths and even adults often claim it as an adolescent rite of passage. Many try it due to peer pressure. 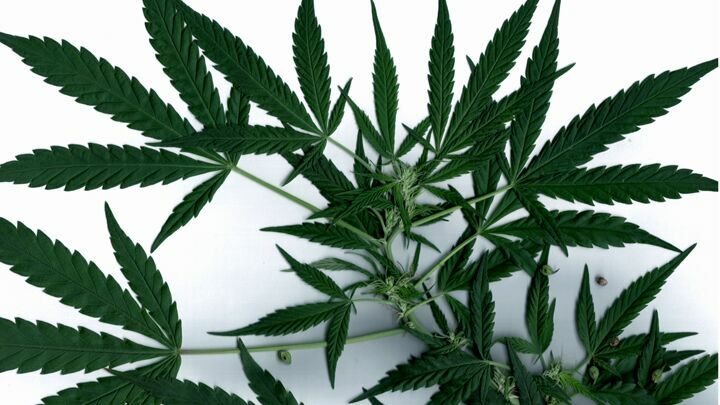 People have grown the Indian hemp plant for use as a hallucinogen for more than 2,000 years. The name comes from the Portuguese maringuango, meaning “intoxicant.” Drugs extracted from the Indian hemp are collectively called cannabis, and all forms of cannabis are hallucinogenic. The plant contains more than 400 known chemicals, many of which are toxic to the human body. One compound, tetrahydrocannabinol (thc), produces psychoactive effects in the brain, which are usually called highs. This distortion of mental perception usually takes effect within minutes; sensations include increased heart rate, a slight rise in blood pressure, conjunctival vascular congestion, lessened coordination and balance, and a dreamy, unreal state of mind. These sensations peak within the first half hour, and usually wear off after a couple of hours, depending on the potency of thc and the amount ingested. Marijuana is not only getting stronger culturally, it is getting stronger chemically. There are some significant differences between the marijuana teens and young adults use today and what their parents used. The levels of delta-9 thc have multiplied from less than 1 percent in the mid-1970s to more than 6 percent. In the past two decades, the potency of sinsemilla—a form of cannabis produced from the smaller leaves and flowers—increased from 6 percent to more than 13 percent. Some samples contained thc levels as high as 33 percent. Many people claim that cannabis is a comparatively benign natural herb—less harmful than alcohol or tobacco. Yet it contains many of the same cancer-causing chemicals found in tobacco. The amount of tar and carbon-monoxide inhaled by those who smoke marijuana is three to five times greater than among tobacco smokers, regardless of thc content. And unlike alcohol, where the ethanol is eliminated within a few hours, marijuana residues can stay in the body for weeks. Marijuana use can also seriously damage respiratory and cardiovascular health, causing chronic coughing, wheezing and bronchitis. Smoking a relatively small amount of marijuana has a similar impact to smoking five to seven times that amount in cigarettes, one after another. And there is no denying that cannabis affects the mind—that is its purpose. This has been directly linked to health, safety, social, behavioral and academic problems. The drug can affect concentration, attention and learning for up to 24 hours. A University of Iowa study showed that people who used marijuana frequently exhibited deficits in mathematical skills and verbal expression. They also showed impairments in memory-retrieval and mental aptitudes. Animals given marijuana in scientific studies have suffered structural damage to the brain. Like other hallucinogens, cannabis disrupts the flow of chemical neurotransmitters. Its use can lead to increased anxiety, panic attacks, depression and other mental health issues. One study showed that children ages 12 to 17 who smoke marijuana weekly are three times more likely to have suicidal thoughts than non-users. Recent research showed how the risk of major depression quadruples through cannabis use. Swedish scientists have also found a link between marijuana use and an increased risk of developing schizophrenia. Long term, the cannabis user risks triple the likelihood of illicit drug abuse or dependence, poor job and academic performance, cognitive deficits, lung damage, lesions to the brain and other brain abnormalities similar to those caused by long-term abuse of other major drugs. Many people believe cannabis use is not addictive. But use can lead to dependency, and heavy users have shown withdrawal symptoms that include increased aggression, irritability, anxiety and insomnia. Marijuana use can deform the structure of sperm cells and cause temporary sterility in men. It can upset a woman’s menstrual cycle and is one of the few drugs that create abnormal cell division resulting in severe hereditary defects. It also drastically affects the immune system, reducing resistance to common illnesses. Marijuana use also loosens inhibitions—since the user loses control of his mind—which, among other things, leads to more risky sexual behavior. This indirect consequence causes myriad problems for individuals and society. Research shows that the younger a person is when he begins using cannabis, the more likely he or she will suffer these long-term consequences. According to the U.S. Drug Enforcement Administration, 40 percent of adult males arrested for crimes tested positive for cannabis at the time of their arrest. Among adults 26 and older who used the drug prior to age 15, 62 percent later went on to use cocaine, 9 percent went on to use heroin at least once, and 54 percent abused mind-altering prescription drugs. Of all teens entering drug treatment, nearly two thirds are dependent on cannabis—a larger proportion than all other illicit drugs combined. Rather than making people mellow, users showed a four-fold increase in violent and aggressive behavior. Users also tend to disobey authority and cause destruction of personal or public property. An increasing risk to cannabis users, and the rest of society, is that of driving under the influence. Blood analysis shows 15 percent of trauma patients who were injured while driving a car or motorcycle had smoked marijuana. Another 17 percent had both alcohol and thc in their blood. Many states allow people with certain medical conditions to use marijuana for relief. Yet, as a smoked product, cannabis has never been proven to be medically beneficial; it is more likely to harm the patient’s health. The majority of marijuana medicinal studies have been relatively short-term and limited in scope. They have looked for the treatment (suppression) of existing conditions, but have never proven that cannabis has any healing properties. As with any drug at low doses, the intoxicated individual may profess an increased sense of well-being in a dreamy, carefree state of relaxation. Yet this distortion is a false sense of security—fooling the brain into thinking it is operating normally, or better, when the reality is the opposite. In stronger doses, marijuana can even precipitate psychosis. More than a “personality disorder,” psychosis is a severe mental derangement. No matter the dosage, marijuana is far from a harmless high. Evidence continues to mount that it causes harmful long-term physical and psychological effects. People take marijuana and other drugs to escape certain situations or feelings. The high masks the problem for a while, but when the pleasure wears off, the problems are back—more intense and numerous than before. This often drives users to seek harder drugs. The long-term physical and psychological results of cannabis are far from dreamy or predictable. Controversy over marijuana stems partially from confusion on the subject. Effects differ from person to person with the same amount of the drug, and even from occasion to occasion in the same individual. Some emphasize this, and the pleasure of the high, to argue that everyone should be “free” to use cannabis. To clear the air from confusion, we have to open our Bibles. Scripture reveals that our bodies and minds are not our own to abuse as we please. God commands that we “glorify God in your body, and in your spirit, which are God’s” (1 Corinthians 6:20). The Bible reveals man’s incredible potential: to use our bodies, our minds and His Holy Spirit (verse 19) to develop the character of God! An incredible, eternal future awaits each of us when we turn to God to let Him develop our minds and character. Intoxicating ourselves on the “pleasures of sin” (Hebrews 11:25) and the “lust of the flesh” (Galatians 5:16; 1 John 2:16) destroys this incredible human potential. 1 Corinthians 6:10 states outright that drunkards—meaning the intoxicated—will never enter God’s Kingdom unless they repent—and that includes intoxicating drug hallucinations. Conquer this vice! Flee the temptation. Don’t try to slowly reduce your intake—throw away everything remotely related to it and never look back! Look forward to truly conquering your problems and embracing an incredible future ahead—unimaginably awesome and impossible to compare with any high. God will free your mind, individually—and everyone’s mind, at His return—from these debilitating effects and help you experience far, far greater experiences: your incredible human potential!